When a blizzard is rolling in, it's hard not to worry about the feral cats in your neighborhood. What can they do to stay safe? Where can they seek shelter? While tempting, it's not always safe to welcome feral cats into your home. Since most feral cats have never been inside before, they may become stressed upon suddenly being confined to a house. There's also the possibility they may carry parasites. @demi030415 on Instagram: "ìììð(ì ì´ëª¨í°ì½ ë¼ë¼ê°ë¤)ð ìí° ì¬ì§â¤ á á #ã­ã #catoftheday #meow #ê¸¸ê³ ìì´ #catlove #catsofinstagram #ì¬ì§ #ê³ ìì´ #ì½ì #ê¸¸ë¥ì´ #ê°ë¥ì´ #ë¬ì¤íê·¸ë¨ #ë¥ì¤íê·¸ë¨ #ìº£ì¤íê·¸ë¨..."
So what's a cat lover to do? Kayla Christiano, a campaign manager at Alley Cat Allies, told The Dodo that building an outdoor shelter can help keep community cats comfortable in very cold temperatures or during heavy precipitation. "A good shelter is at least 2'x3' and at least 18" high," she said, cautioning that "anything larger can cause heat to disperse quickly." 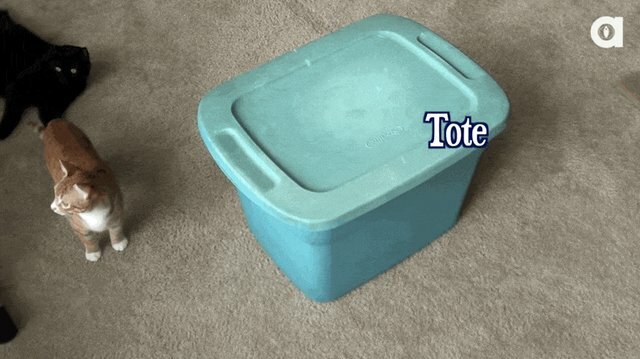 A plastic storage tote, for example, would serve as a good base structure. 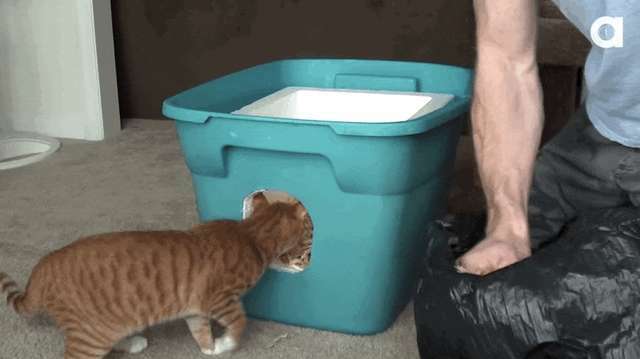 A video tutorial by Cole and Marmalade takes a similar approach. If you're making a tote-and-Styrofoam shelter, you'll first want to cut a hole in the side of the tote around five or six inches in diameter. Christiano says entryways should be no larger larger than six to eight inches - any bigger, and other animals may find their way inside. 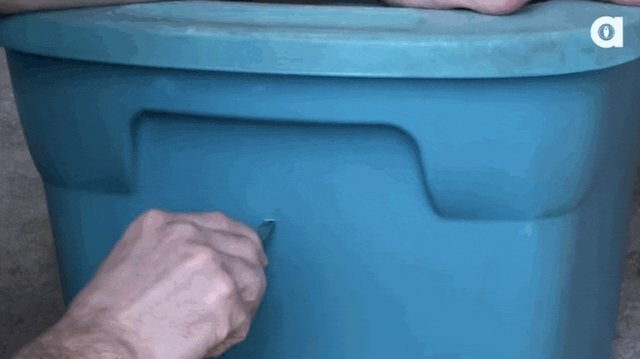 Then put the Styrofoam cooler inside, and cut a hole in that, too. Next, add straw (not hay), which will stay fairly dry during hard precipitation. Christiano recommended straw for similar reasons: "[It] resists the wet and keeps a shelter warm, and is the best choice for insulation and bedding." Christiano cautioned against using blankets, towels or carpeting for bedding, as they retain moisture (and no one likes a damp bed). 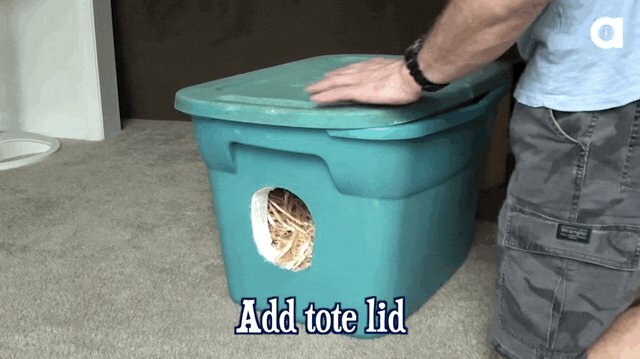 House Of Feral Cats ð¾ on Instagram: "ââ Knock knock #hello #silly #curiouscat #furbaby #catlover #fluff #feralcat #cat #catsofinstagram #bestmeow #instacat #meowbox..."
... and the tote lid. Make sure both are sealed securely! Because feral cats tend to group together for warmth, Christiano advised building "colonies" with more than one shelter available. Ideally, she said, the colonies should fit three to five cats each. 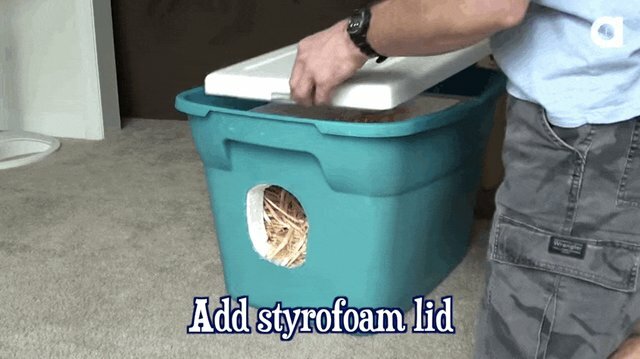 Paws for Life Rescue on Instagram: "Great idea for feral cat shelters. 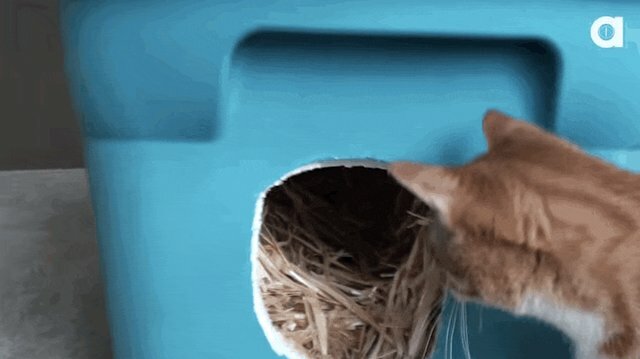 #feralcat #feral #feralcatshelter #communitycats"
Of course, there are many more shelters you can make at home. Find the best one for your area's weather conditions here. For more information on how to help community cats stay safe, warm and healthy during severe storms, visit the Alley Cat Allies website.